While laptops have become thinner every year, adapters haven’t exactly followed the same trend. The days of packing a power brick may soon be over, however, thanks to the new FINsix power adapter. Though capable of providing 65 watts of juice, the FINsix is just slightly larger than the average cell phone charger and weighs only a few ounces. The adapter will be compatible with most modern laptops, including the 2013 MacBook Air and 2013 MacBook Pro. As an added convenience, the FINsix packs two USB ports spliced into the charger’s wire. This means the adapter is actually a 3-in-1 solution that can recharge a cell phone, a laptop, a tablet, or all at once (provided they draw less than 65 watts, of course). The secret to the adapter is new technology that can cycle power up to 1,000 times faster than a typical laptop power brick. Cycling more quickly means less power must be stored in the adapter to ensure smooth operation, and that keeps the size down. Though this may seem a simple innovation, developing it took the company’s co-founder Anthony Sagneri, who holds a doctorate from MIT, several years. 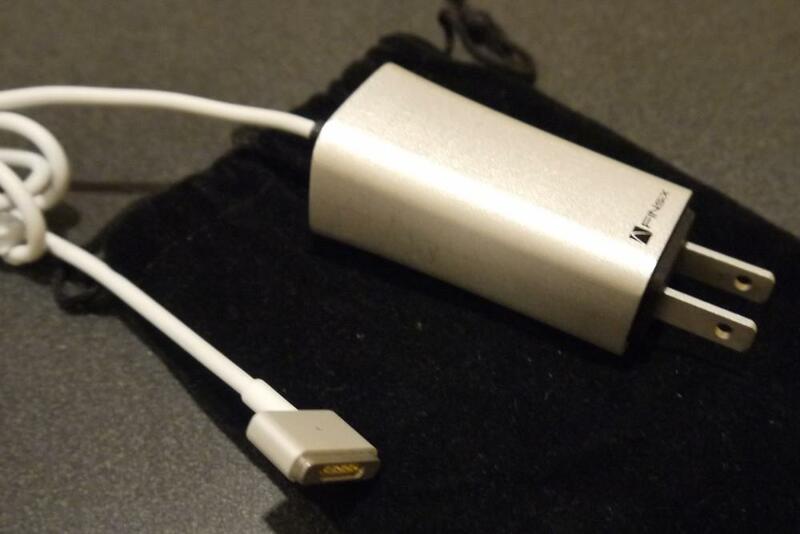 FINsix is a Kickstarter success story, and backers of the original project will receive their adapter in March. The product will go to retail this summer with an anticipated price of $90. We hope the company catches the attention of laptop manufacturers, as a smaller standard power brick would be an awesome extra for high-end ultrabooks.